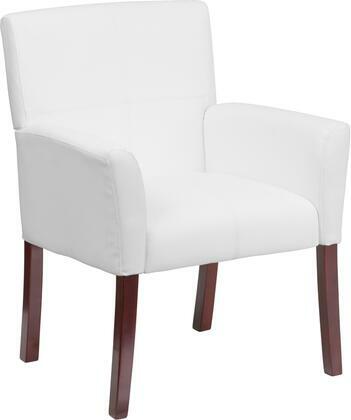 Flash Furniture BT-353-WH-EMB-GG Embroidered White Leather Executive Side Reception Chair with Mahogany Legs 35.25 x 26.5 x 23 in. 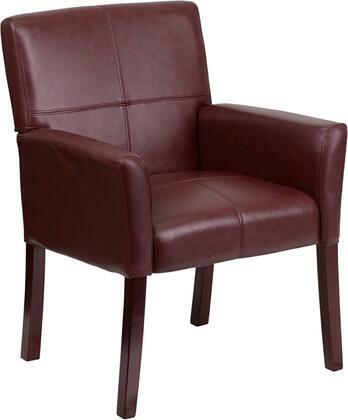 Show off your sense of style with this elegantly designed side or reception chair. The contemporary styling of the chair provides a dramatic statement to your space. The inset stitching and high wood legs will appeal to everyone in every setting. 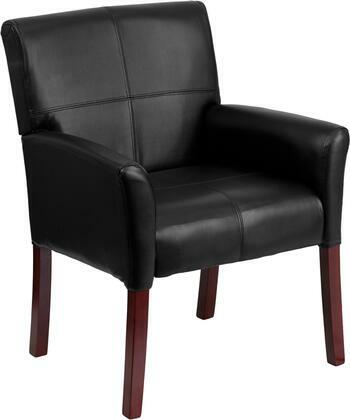 Personalize this chair with text or a logo to show off your individual style or company design. Back Size: 20W x 18.5H.